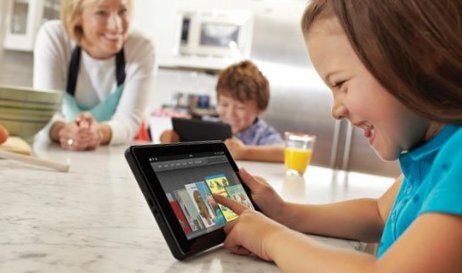 Every parent, who gives a smartphone or a tablet to a child at the beginning of the school year, wants to control everything that the child can do on this device. The apps that provide parental control on mobile devices differ in the basic approaches to the functionality of such services and, often, do not provide the flexibility of their settings. Parental control may include a ban on visiting unwanted Internet sites, limiting the child’s access to communication services, as well as controlling the work with apps on the device. As an option, there may be remote monitoring of what exactly the child is doing at the moment (for example, during the lessons). However, not every developer includes all the components in their products, and sometimes even “redoubts” made by companies which know information security inside out, surrender almost without a fight. The most common mobile platform in the world, Google Android, does not have a built-in parental control feature. Therefore, there is a list of almost 500 items displayed in the Google Play online store, including different versions of the same programs: it’s not easy to choose from such a variety. Apple iOS has its own “restrictive” features, so there are fewer alternatives in the App Store than in the Google Play. There will also be a built-in parental control feature in the platform of Microsoft Windows Phone 8. A list of all available programs is long. They could help parents limit their children’s use of smartphones and tablets, and at the same time monitor the child’s actions. Most of these applications are built using the principle of the “sandbox”: parents list programs that are safe from their point of view, and the child gets access only to those apps. To make changes to this list you need to know the password. Access to calls and other paid services can also be configured. In a free application “Kids Place” there is a separate shell with the selected programs, and the child cannot leave it, without knowing the password. The shell will also automatically start when the device is rebooted: if a similar application does not have this option, then all other barriers become meaningless. As an alternative, in Google Play you can find Kytephone: Parental Control, Best Parental Control Android, and others. The mentioned applications differ insignificantly. In most cases, the browser can be included in the number of programs available in the “sandbox,” but developers do not always puzzle themselves with more fine-tuning filtering of individual sites or website categories. If the child, according to parents, is old enough to use the Internet, but some content is still too adult for the kid, they need to look for a solution with detailed settings for browsing. Sometimes “protective walls” made by gadget manufacturers, do not prevent a child from receiving forbidden information. “Kaspersky Lab” Parental Control is developed exclusively for monitoring visits to “adult” sites. However, the program runs using its own “black lists” of sites, and this list can not be changed or extended manually. Because of such inflexibility, for example, Google search, and at the same time all Googly services, are among the trustworthy. In particular, Google Pictures service in combination with the “right” search keywords will allow the child to find absolutely any images. Some applications, for example, Norton Safety Minder, from the developer of information security systems Symantec, require the creation of an online service account, through which parents can set restrictions for the child’s device. Such programs don’t work without Internet access, which is not always an advantage. However remote access allows the device to work with constantly updated “black lists” and it gives parents the opportunity to receive information about what is happening on the child’s smartphone at any time through the online interface. Such programs as Safety Minder or Bitdefender Parental Control allow monitoring device remotely. Both of these applications, unlike the program of Kaspersky Lab, also allow you to specify unwanted websites manually, rather than relying solely on the recommendations of the service. They also provide the “sandbox” feature: the ability to block applications and paid services. These and some other programs also allow you to set the time when the child can use certain features of the phone: for example, to play games or use the Internet. Besides, if the smartphone is used by two or more kids of different age, for each of them, you can create a profile with specific settings. Some programs protect not so much the child as the parent’s wallet, for example, Phone Control. The application specializes in limiting the communication services. Parents can set the list of contacts which the child can call and text. The program also allows the parent to receive the copies of incoming and outgoing SMS and emails from the protected phone on their phone. Parental control tools built-in in the iOS operating system allow you to limit the use of some regular applications, as well as to prohibit the installation and removal of applications. Among the programs that can be turned off, there is Safari browser, the client for watching videos on YouTube, the camera, the application for purchases in the online store of audio and video content in iTunes. You can use four-digit password, which gives about 10,000 combinations, to protect the parental settings. However, even if the child is patient, the password will not be easy to guess: after several unsuccessful attempts, the device gradually increases the timeout before the next attempt. Besides, the password entry screen shows the number of failed attempts that will give the young hacker away. There are no settings for filtering sites in Safari. When you turn off the application, it simply disappears from the menu. You can give the opportunity to use good resources only with the help of outside solutions. The iOS platform places strict demands on developers, which prevents them from creating programs that operate at the system level and control other software without violating Apple’s prohibitions. So, in fact, the only way to filter Web content is to use a different browser that provides such functionality. All other browsers must be deleted (along with the blocking of the possibility of installing programs), and the regular Safari is disabled: otherwise, the point of using the “guard” is lost. The only way to filter Web content in Apple is to use a third-party browser that provides this functionality. If there are no other browsers, the above mentioned Kaspersky Parental Control, released for iOS, could also help, but this protection, as was shown, can be easily circumvented. The K9 Web Protection Browser application is better opposed to attempts to get to the forbidden fruits: the authors blocked the search for images and video. By the way, this same app is also available on Google Play, but after installing it on a smartphone, it did not work stably, which eliminates all the advantages of the programs. Blackberry devices also have possibilities for monitoring, if one of the parents wants to give one of these traditional for business communication smartphones to their child: the corresponding Parental Controls application is available on the BlackBerry App World. Through the application, you can allow calls to certain contacts (including incoming), allow or deny the use of the camera, Bluetooth, the installation of applications and their use. There are no settings for the availability of Internet resources: you can either allow everything or deny everything. Kid’s Corner’s parental control service will be a part of the Microsoft Windows Phone 8 platform. According to the description of the service, parents will be able to configure the availability of music, video, and applications. You can set only the availability of certain apps for download, in the Windows Phone 7 platform with built-in tools. On Blackberry devices there is an application that allows calls only to certain contacts. In summary, we can say that the most difficult thing in parental control is the intelligent filtering of content on the Internet. Parents can underestimate the curiosity of their children: in particular, they should remember that many applications have a built-in browser for reading links. For example, this function is in the official Twitter client. Even if you block the Safari browser on the child’s iPad, you can access the web using the set-in browser windows and, with a certain skill, get to the site of some search engine. The road to almost any Internet resource is open from there. ← Agile Recruiting: Is Scrum Applicable for HR?